As if a visit to the dentist wasn't distressing enough, now you also have to worry about the quality of service you receive at the dental office. This is because going to a subpar dentist could drain your wallet while leaving you with a sore set of not-so-pearly whites. Most people select dentists based on reviews and recommendations from family members and friends. However, before setting up an appointment, you need to ensure your new dentist will provide top-of-the-line services. Not sure what to look for? The following are some dentist red flags that should send you scrambling out of that office. The first thing the staff at the new dentist's office should ask you for is your old dental records and files. While some dental issues are pretty obvious, others require the dentist to track problems and look out for any changes. Documents and previous X-rays should help the dentist recognize any developing issues. 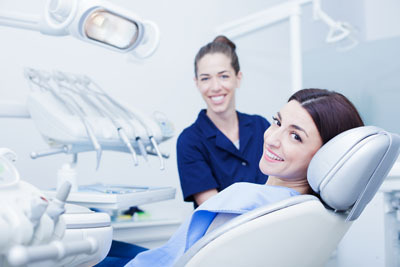 Ideally, you should get a full set of dental X-rays once every two years. Repeating X-rays too soon exposes you to unnecessary radiation without any real medical benefit. Unless it's absolutely necessary, your new dentist should not pressure you to get an X-ray if you already have a recent one in your records. Another thing to check out for is the type of X-ray technology they have. If they are using X-ray film, then you should look for another dentist. Digital X-rays are a lot better at diagnosing dental problems and cause less exposure to radiation than film X-rays. You should also be wary of the cone-beam X-ray which takes 3-D pictures of your mouth but delivers up to 18 times more radiation than other X-rays. It goes without saying that a dentist's office should be extremely clean. This is because anything that goes into your mouth should be sterile and hygienic to prevent the spread of germs and bacteria. A dentist treats several patients with different diseases every day. Make sure he/she changes his gloves and his face mask after attending to you or other patients. If he/she has his gloves on while using the keyboard or digging through his drawers, he/she should put a new pair of gloves before poking inside your mouth. Another thing to look out for is the sterilization of tools. Ask the dentist whether he/she heat-sterilizes all tools before using them in a patient's mouth because some bacteria only die with heat. At each visit, or at least twice a year, the dentist should look out for signs of oral cancer while examining your mouth. Oral cancers linked to the Human Papilloma Virus have become quite prevalent in recent years, and a good dentist should check your mouth for any abnormal patches of cells or lesions. If you want a cosmetic procedure such as porcelain veneers or dental implants, the dentist should be able to show you pictures of previous patients he has worked on. You need to know that your dentist has done these procedures successfully in the past. If he does not have any before and after shots, look for another dentist. If a tooth has a small crack or decay, a less invasive treatment is usually best. Beware of any dentist who tries to upsell you on crowns and caps. If you still have at least 50-percent of the tooth, a bonding is a better way to restore it. This is because it is always better to preserve the structure of the tooth than to drill down with a cap, unless absolutely necessary. 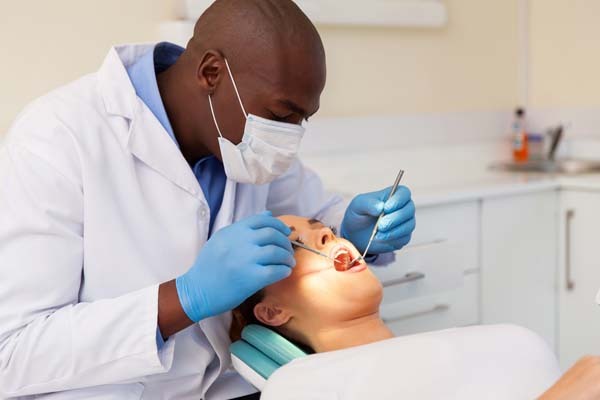 You should also be wary of any dentist who insists that the procedure has to be done right away and discourages you from getting a second opinion. 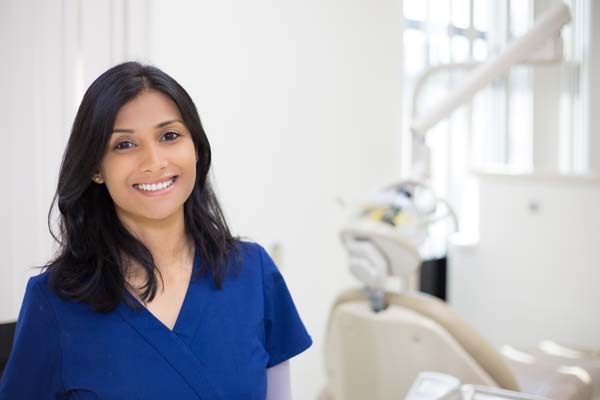 Choosing a personal or family dentist is not a decision you should take lightly. A great oral professional should be more concerned about the health of your teeth than the health of his/her bank account. He/she should work with you to enhance your confidence and your smile. If he/she does not value you as a patient and is not willing to listen to you and educate you on the treatment options available, then you should consider looking for a new dentist. For more information or to schedule an appointment with us, call (505) 634-5657. Our dental office is located in Albuquerque. Call Family Choice Dental today.